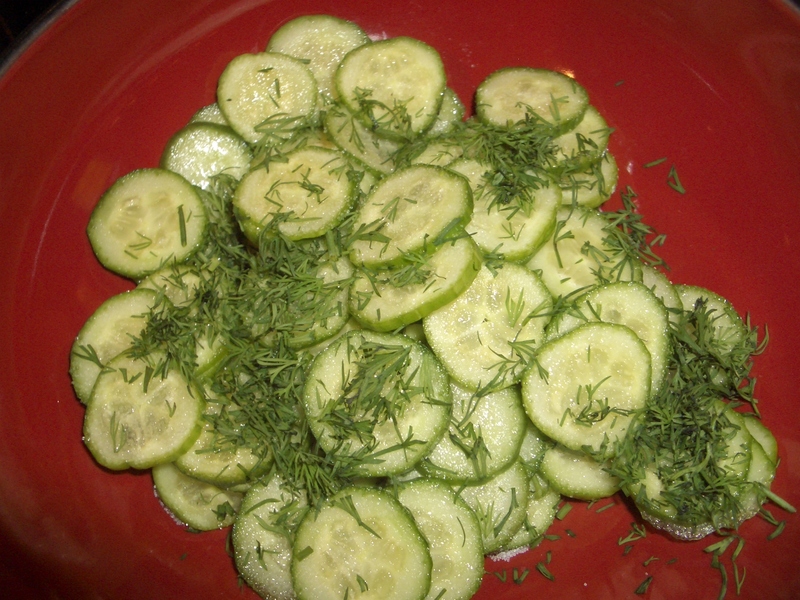 I found a zucchini recipe that Stas likes! It wasn’t a huge surprise, though – this dish contains dill and sour cream (the 2 components of what I call ‘Russian crack’). 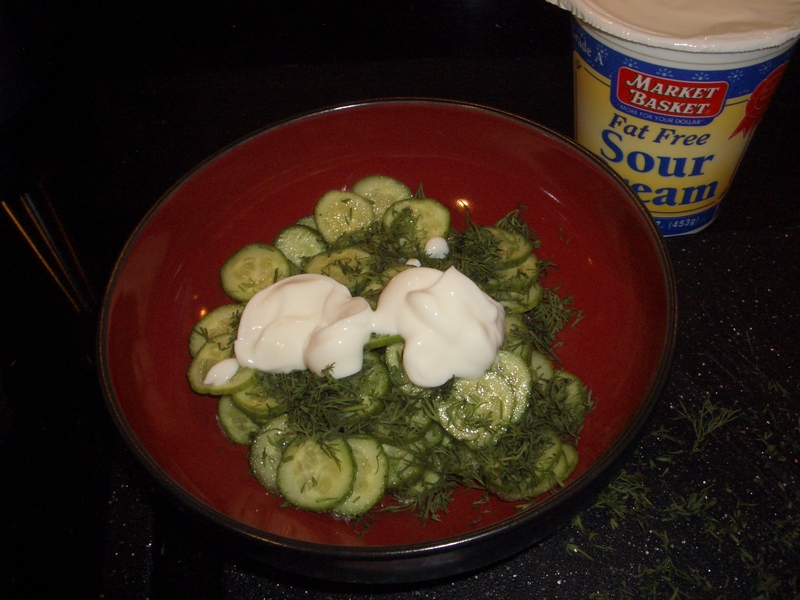 If I haven’t mentioned this before in my blog, I have a theory that no Russian can resist dill or sour cream. This irresistableness (is that a word?) increases tenfold when the two are combined. 1. Heat olive oil in a skillet over medium heat. 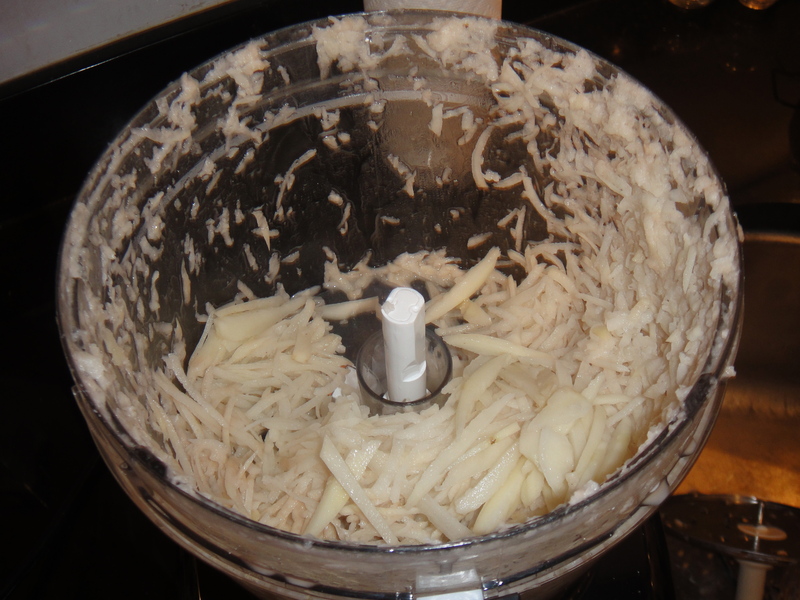 Add zucchini, garlic, and onion and cook for 8-10 minutes (or until zucchini is light brown), stirring occasionally. 2. 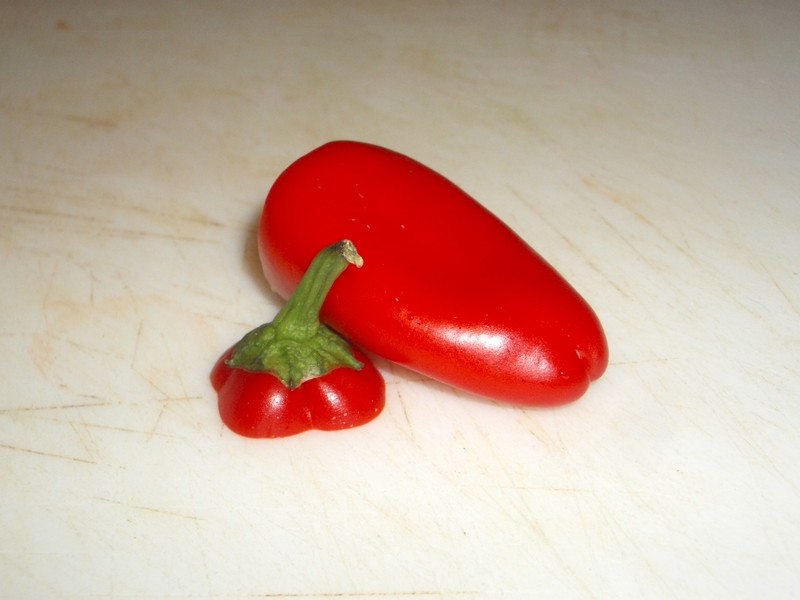 Season to taste with salt and pepper; remove from heat. 3. 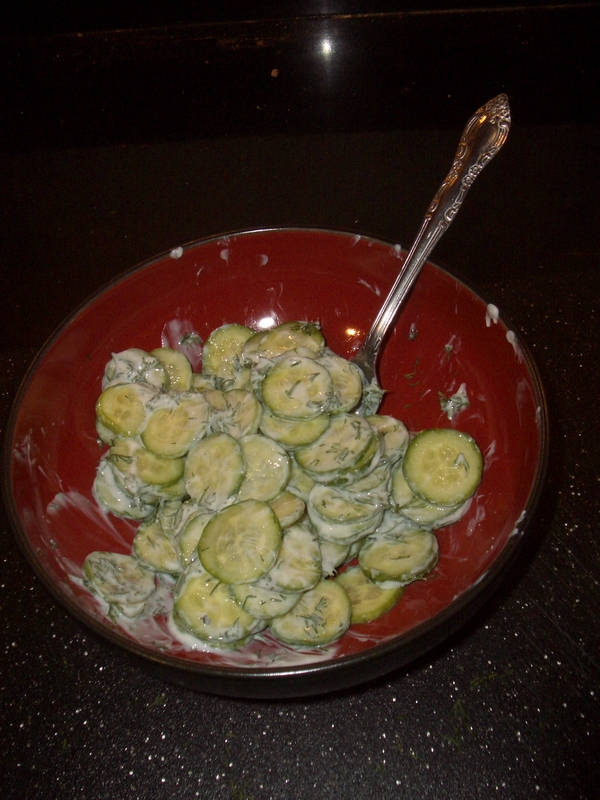 Mix the sour cream and dill; stir into the zucchini mixture. One of my Christmas gifts was a set of pasta plates for my KitchenAid stand mixer. I’ve read mixed reviews about the pasta plates, and I’m unsure how I feel about them. When the pasta comes out, it immediately sticks together, and it’s hard and time-consuming to peel each noodle apart one by one. It took me a long time to process half of the dough from the recipe; the other half is sitting in my fridge – I’m unsure whether or not I’ll be using it. Another downside to the plates is that they’re hard to clean (poor Stas!). But the upside is that it was very cool to have made my own pasta… it’s something I’ve wanted to do for awhile. Make a mound with the flour and use your fingers to create a well in the center. Crack the eggs into the well, and add the salt and olive oil. Using a fork, carefully whisk the eggs, slowly drawing in some of the surrounding flour. Once the eggs are whisked, use the fingertips of one hand to swirl the egg in a circular motion, continuing to draw in flour until it is fully combined. If the dough is too stiff or crumbly, add a small amount of water; if it is too wet, add a small amount of flour. Knead the dough for 7-10 minutes, divide into 4 pieces, and cover them loosely with plastic wrap. Let the dough rest for 30-60 minutes. To cook the pasta, add it to salted boiling water and boil for3-5 minutes. Yesterday I made a big pot of borscht. I don’t like borscht (I hate beets) but Stas (of course) LOVES it, so he was a very happy man. 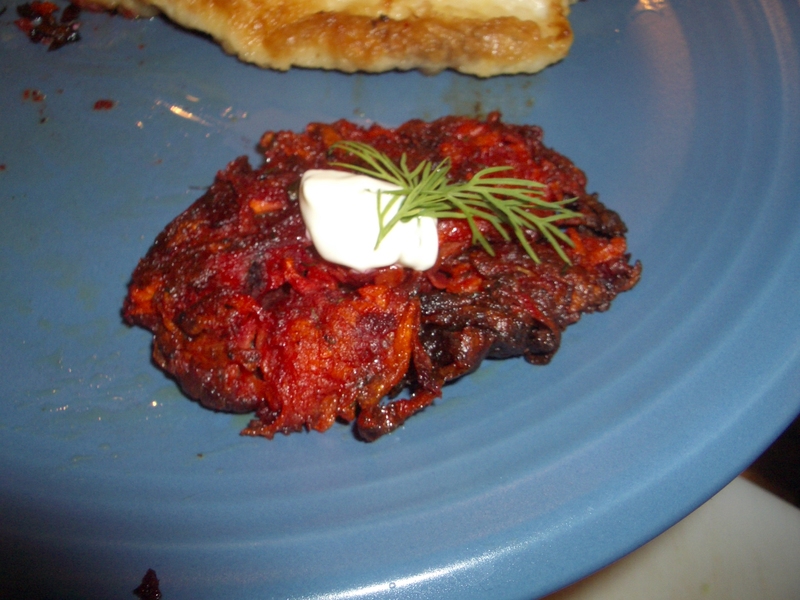 Whenever I make borscht, I end up with leftover beets and carrots. They usually just sit in my fridge for awhile, and eventually go bad. 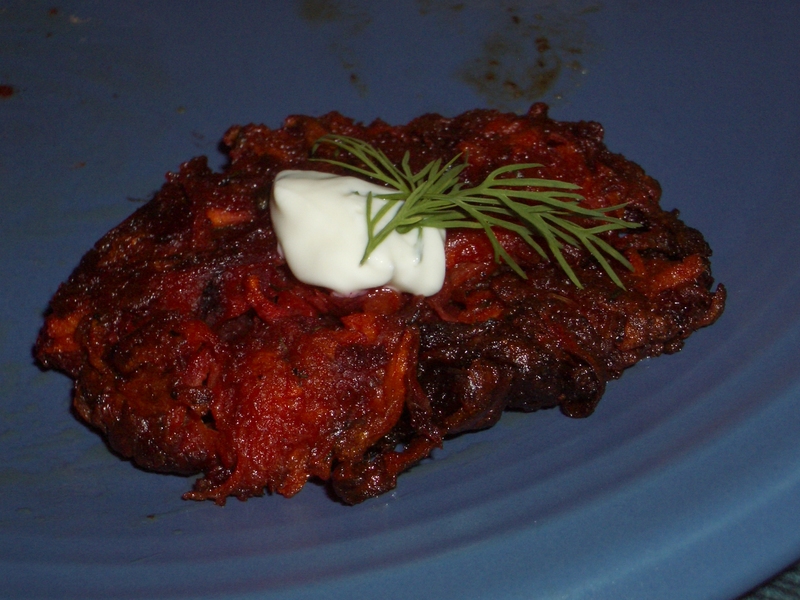 In addition to beets, I hate carrots… so I’m never motivated to actually use them – and I don’t know many recipes that call for them (besides borscht). I recently subscribed to Eating Well Magazine, through my Delta frequent flier miles. I’m not sure if I actually like the magazine yet, but I did get one good recipe out of this issue. 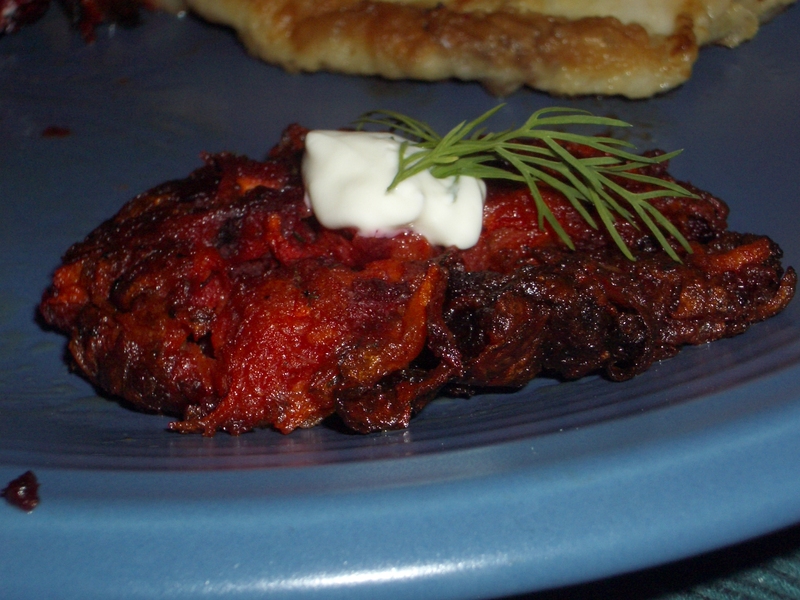 And now I know exactly what to do with leftover beets or carrots! 1. Preheat oven to 400 degrees F. Coat a baking sheet with cooking spray. 2. 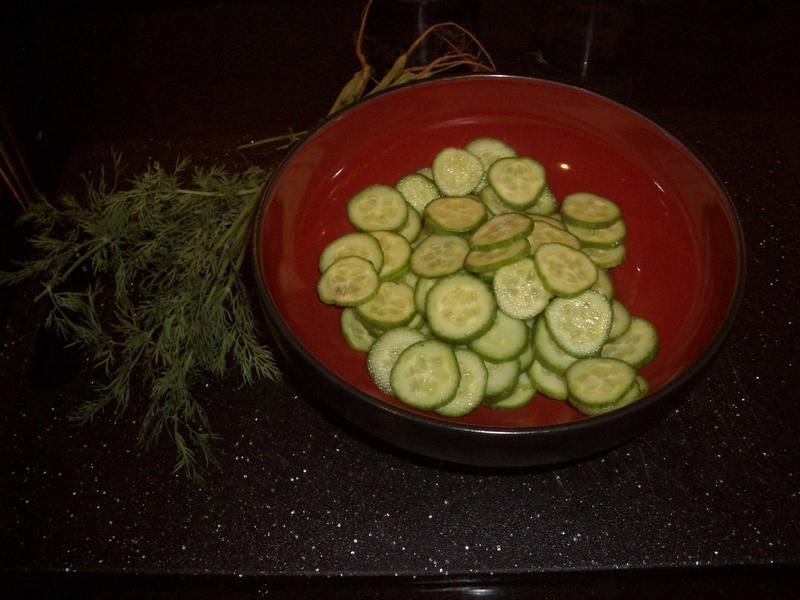 Combine egg, flour, scallions, dill, horseradish, salt and pepper in a large bowl. Stir in vegetables. 3. 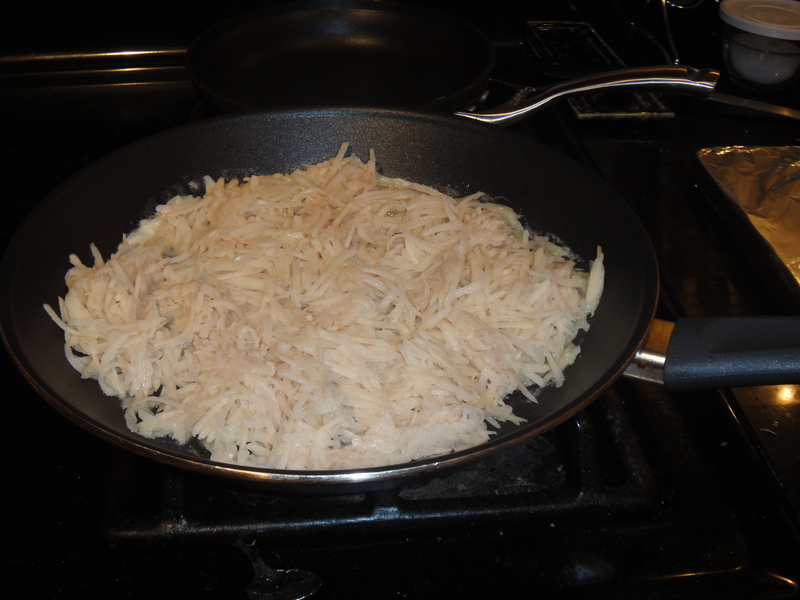 Heat oil in a large nonstick skillet over medium heat. Cook 4 pancakes per batch: place about 1/4 cup beet/carrot mixture into pan and flatten with a spatula (flatten so that they are 2 or 3 inch pancakes). 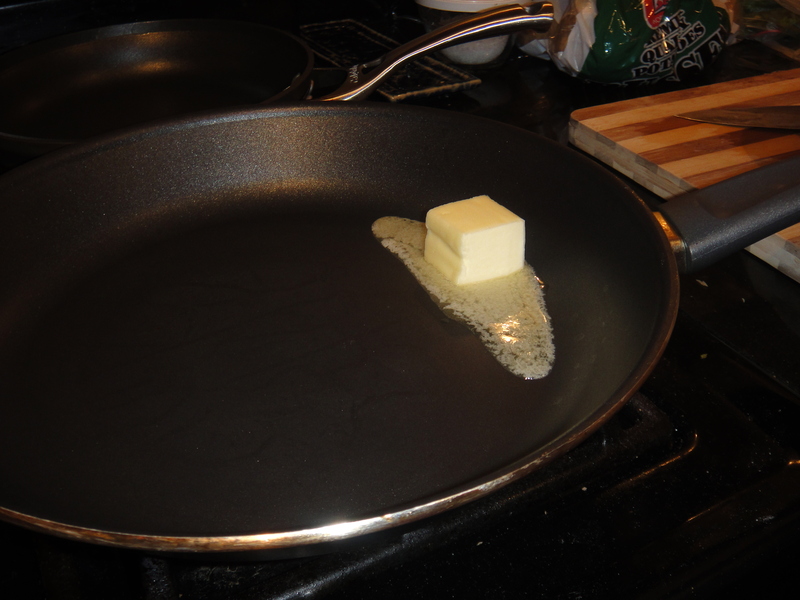 Cook until crispy and golden, 2-3 minutes per side. Transfer them to the prepared baking sheet. Finish the remaining pancakes. 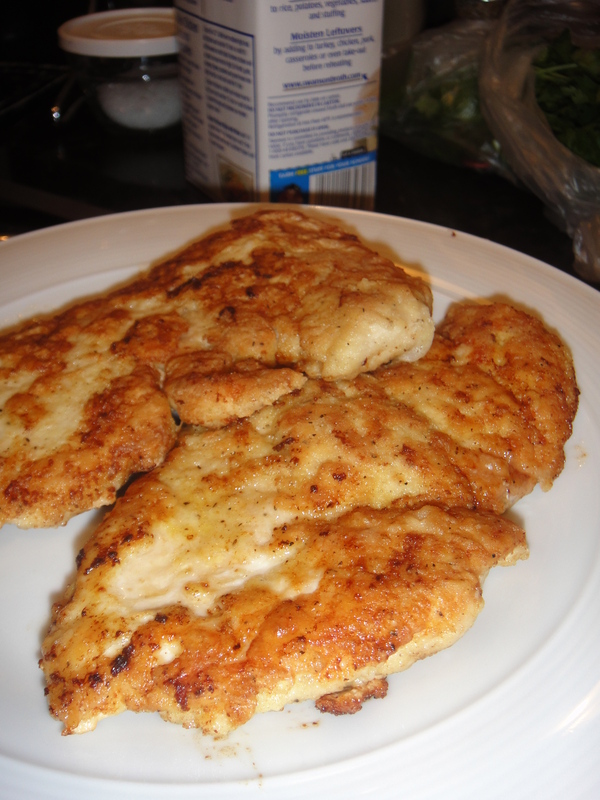 When finish pan-frying, transfer them to the preheated oven and bake for 15 minutes. 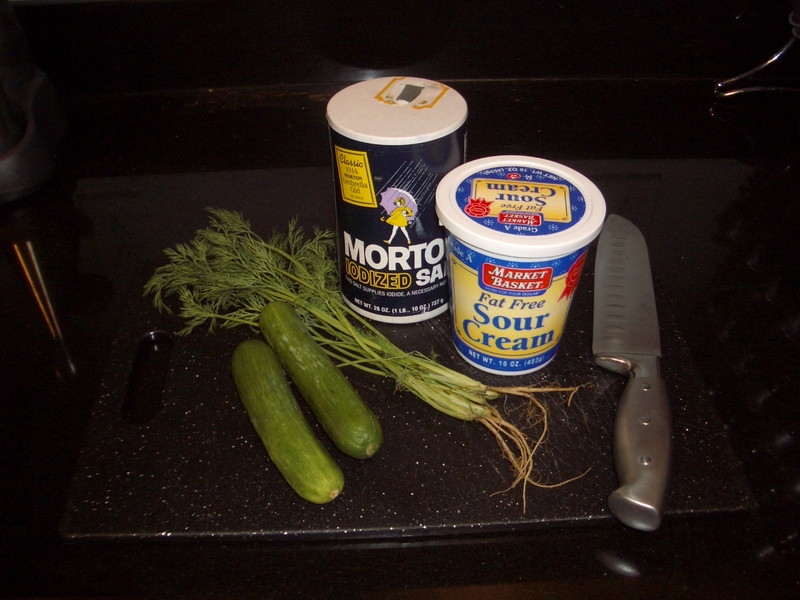 Garnish with sour cream and dill. 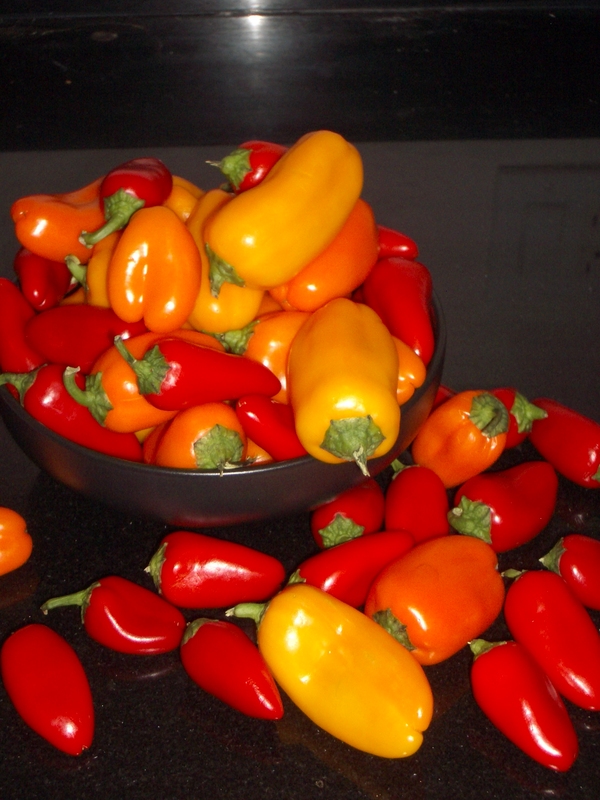 I went to BJ’s today to stock up on things like laundry detergent, fabric softener and plastic wrap, and I just couldn’t resist these mini sweet bell peppers! Id never seen them before – and I’m a sucker for cute things. They were so tiny that the seeds were hard to clean out… After attempting to clean a few, I gave up and decided to leave them as-is. 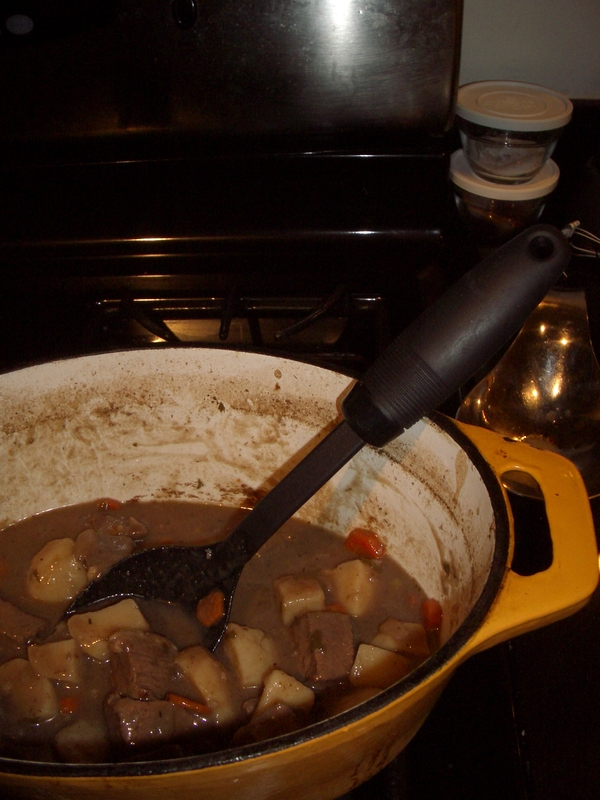 We (finally) finished off the beef stew leftovers as our main dish. 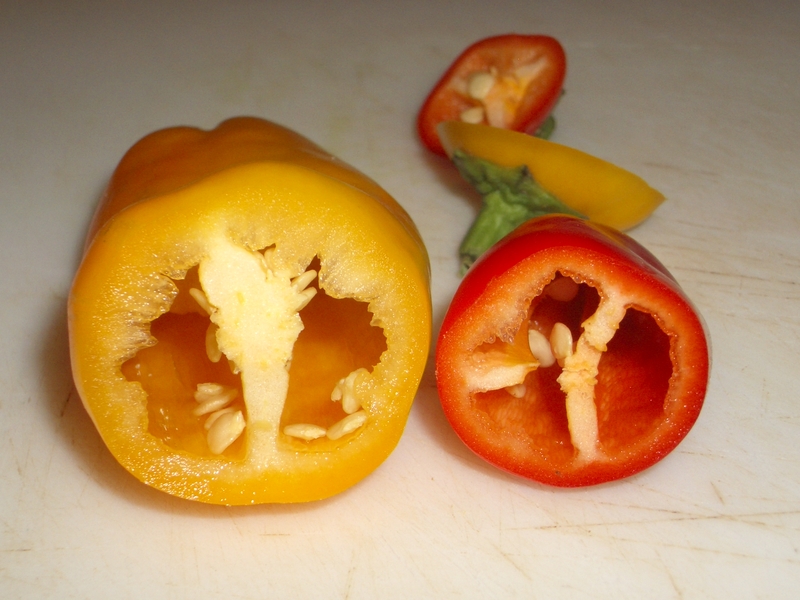 Instead of eating the peppers raw like I usually do, I decided to roast them. 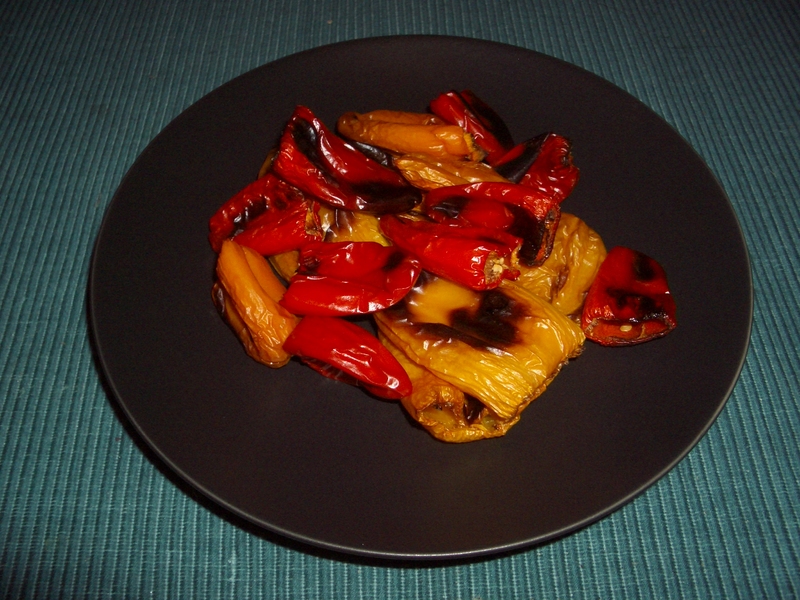 I forgot how wonderful it is to roast veggies in the fall and winter months – the heat isn’t unbearable, and it leaves such a nice scent lingering in the house. I roasted them for about 30 minutes (15 minutes each side) at 400 degrees F. I didn’t bother to spray them with olive oil, and I had no problem with them sticking.